Having a great pair of basketball shoes is vital for any baller, but unfortunately it’s not feasible for everybody to fork out hundreds of dollars to get the best of the best. 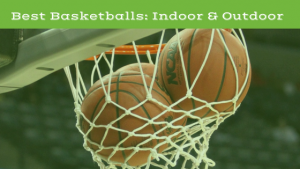 Luckily, there’s plenty of great budget basketball shoes on the market, which provide many of the benefits of the higher end shoes at a fraction of the cost. 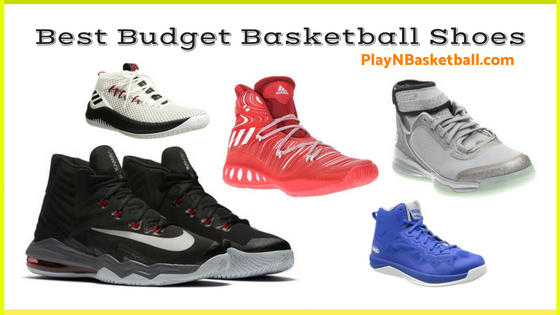 In this article, we’ll let you know some of the best budget basketball shoes this 2019 season, as well as some of the main things you need to consider before you begin your search. What is the main performance difference between budget sneakers and expensive ones? Nike Men’s Air Max Audacity Basketball Shoe Review: These are a typically high quality pair of Nike shoes, with one major difference; the price. Despite coming in far cheaper than many similar Nike products, these shoes still provide all the bells and whistles you’d expect from the best sports brand in the world. The Max Air unit provides great cushioning for the heel, meaning when you land hard after a big dunk, you’ll hardly even feel it. Flywire cables keep the whole foot firmly in place, while the mid-top collar adds another element of support for your feet. Despite all this support though, your foot will still feel extremely comfortable in this shoe, meaning you get the best of both worlds. 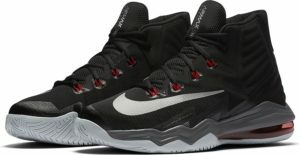 Not only are these the best cheap Nike basketball shoes, but they are the best budget basketball shoes this 2019 season. Give them a try. Adidas Performance Mens Crazy Explosive Basketball Shoe Review: This is such a comfortable basketball shoe that you’d be forgiven for thinking it was one of the more high-end shoes on the market. Instead though, you’ll be able to find a pair of these for just a two-figure total, making them the best basketball shoes under $100. Adidas claims these shoes have their most responsive cushioning ever, and it’s easy to see why. The construction of these shoes allow you to land softly after grabbing a big board, and quickly spring back into action. They are extremely comfortable, but also provide great support, with a tinted TPU wrap in place over the midsole. Available in a wide range of colors, this shoe also looks great, meaning you’ll be able to find that extra little bit of confidence when wearing these shoes. Adidas Original Mens Dame 4 Review: Another Adidas product, proving that they are arguably the producer of the best cheap basketball shoes going around. The Dame 4 are the signature shoe of Damian Lillard, and will help you play like him too. The special bounce cushioning makes these an exceptionally comfortable pair of shoes, while the Fused Mesh technology provides support to important areas, and an ability to stretch to suit the needs of your foot. The neoprene collar is another factor that helps to make this shoe so comfortable, helping it to fit perfectly. The mesh type exterior also looks great, and provides a high level of breathability for your feet, so you won’t be too sweaty during the most high intensity moments of a big game. All in all, this is a great purchase. AND1 Mens Fanton 2-M Basketball Shoe Review: AND1 might not have the reputation of a Nike or an Adidas, and there’s a reason for it. Their shoes simply aren’t as good, but this pair does a great job of replicating much more expensive shoes, and comes in at an incredibly low price. These are lightweight and easy to move around in, and offer excellent comfort for users. With a reinforced heel and toe, your foot will be safe from the rigorous demands of the game of basketball, while the laser cut vents ensure your foot will be able to properly breathe, and avoid getting too sweaty and uncomfortable. The grip-enhancing rubber soles mean you get great traction, and will be able to break the ankles of your opponent with big crossovers. All these features don’t result in a high price though, and, put simply, makes these good, cheap basketball shoes under 40 dollars. Adidas Mens Dual Threat BB Basketball Shoes Review: Yet another Adidas product, and this one is the cheapest yet. This rubber sole shoe will last you for a long time regardless of where you play, be it on a hardwood, indoor surface, or a more abrasive outdoor one. This sole also has great grip, meaning you’ll be able to bust out all of your best moves without the fear of falling flat on your backside while doing them. Perhaps the most noticeable benefit of this shoe is how comfortable it is, but it also offers excellent support. It’s available in a number of different colors, so one of them is sure to suit you. Made by one of the best sporting apparel brands there is, you know this shoe is going to be good quality, even with the cheaper price tag associated with it. These are the best basketball shoes under $50, so if you’re on a tight budget, they are definitely worth trying out. Champion Mens Inferno Basketball Shoes Review: These are actually a decent enough pair of shoes – just not for basketball. With a mesh exterior, padded upper region, and ankle pull tab, they’re pretty comfortable. As a basketball shoe though, they aren’t great. These are more suited to casual wear, because they’re pretty comfortable. They don’t offer enough support to justify wearing on the basketball floor though, and the slippery soles means your crossover move might end up putting you on the floor instead of your opponent. If you just want a casual pair of shoes, maybe consider these, but avoid these cheap basketball shoes if you want to actually play in them. 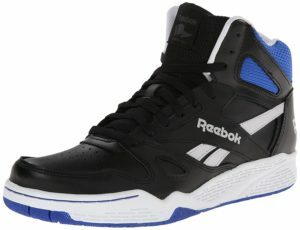 Reebok Mens Royal BB4500 Hi Basketball Shoes Review: The retro look of these shoes gives them a pretty cool appearance, but that’s about the only upside to this pair. The major problem with them is that they fit very poorly. They run extremely small, and though this is usually a problem that can be counteracted by simply ordering a larger size, that won’t work with these. They tend to be far too narrow in certain areas, particularly the toes, meaning you won’t be able to focus on your game while you’re wearing them. This is a very common problem that many users have encountered, so unless you have particularly narrow feet then these should definitely be avoided. Comfort is as important as anything in a basketball shoe, and the lack of it in these makes them the worst budget basketball shoes this 2019 season. It can be tough to balance both quality and cost when looking for a good pair of budget basketball shoes. As with most things, you generally get what you pay for, and many cheaper shoes are of pretty average quality. There are plenty of great value options though, and if you consider these key factors you’re much more likely to find yourself a winner. Durability: This might be the single most important thing you need to consider when looking for a good pair of budget basketball shoes. It’s easy to fall into the trap of thinking that if a pair of shoes is cheap, they’ll probably be worth purchasing, even if they lose out a little on quality. The reality is though, if you purchase a cheap pair of shoes that are going to fall apart within a few weeks of using them, you haven’t really saved a whole lot of money at all. You’ll be forced to buy another pair, it will be a hassle, and you’ll end up paying for numerous bad pairs of shoes rather than just one good pair. For that reason, make sure you do the research to ensure your budget pair of basketball shoes is still going to allow you to wear them out on the court for an extended period of time, in order to make sure your purchase is worthwhile. Cost: Of course, if you’re looking for a budget pair of best basketball shoes then you obviously need to consider the price. The shoes listed above all come in significantly cheaper than the highest end shoes, which makes them great options for those looking to save a little bit of money while still getting a quality product. Theoretically, a pair of basketball shoes for over $100 could still be considered as ‘budget’ when you think about the price of some of the most expensive products. Depending on your own budget, this may or may not be feasible, but if you’re looking even cheaper then there are still plenty of decent options. The cheapest basketball shoes will come in at around $30, which is incredibly cheap if you find a pair that won’t fall apart at the first sign of duress. Support: It’s important to ensure that even though the shoes you buy are cheap, they’re still going to provide adequate support to your feet. The worst case scenario is purchasing a pair of shoes that don’t offer any sort of reasonable support, and ending up with such sore feet that you can’t even focus on the game, or even worse, going over on your ankle on a regulation rebound. At the end of the day, shoes are supposed to provide quality support for your ankles and feet, and it isn’t worth saving a little bit of money if you’re going to buy a pair of shoes that don’t do that. Fortunately, there are plenty of cheaper, budget options that will still keep your feet well supported, so make sure that you seek these out during your search. Basically, the answer is a little bit of everything. In general more expensive basketball shoes are going to be made of higher quality materials, and brands will incorporate more advanced technology into them. They will generally provide better support, a little more comfort, and be easier to move around in. That’s not to say that budget sneakers can’t offer these factors to a high degree though, and there are many great value basketball shoes that provide plenty of comfort of support. That being said, there are also many that don’t, which is why it’s so important to do the necessary research prior to buying, to ensure that you get a budget pair that is still relatively high quality. It isn’t always easy to find a pair of basketball shoes that won’t break your bank, but are still of relatively high quality. There are, however, plenty of great basketball shoes that can be found for a very low price, as long as you know what to look for. 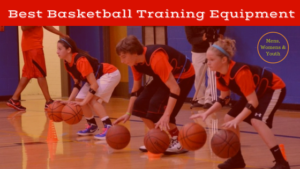 This article has outlined some of the more important factors to allow you to do just that, as well as a list of some of the best budget basketball shoes this 2019 season, which will enable you to focus solely on improving your game.